We’d love your help. 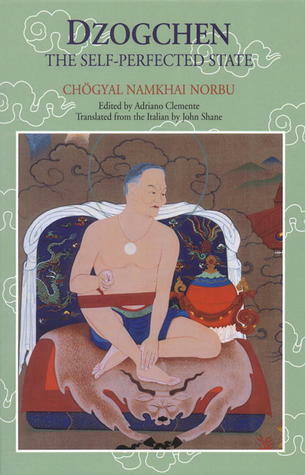 Let us know what’s wrong with this preview of Dzogchen by Namkhai Norbu. To ask other readers questions about Dzogchen, please sign up. Contemplation is every moment! Awakening is everywhere! Nice introduction to Dzogchen, the heretical method of direct knowledge for the Buddhist and non-Buddhist alike. The translation is a little clunky with its terminology (translated from Tibetan to Italian, then from Italian to English) so I am going to read it again right away and surely understand it much better the second time around. Not a practice for the ethically challenged or those without a "higher level of capacity," as Norbu puts it. Clear and concise book on the basics of Dzogchen. Dzogchen is a practice of calming the mind and returning to the relaxed primal state of being, calm awareness. It contrasts the way of Dzogchen from the approach of the Sutras (renunciation) and Tantra (transformation). Some of the details about doctrinal difference went over my head, but were clear nonetheless. ok, the mediocre review probably has more to do with me than the book. I find I experience a distance from the material when I read straight-on Dzogchen texts (as opposed to sutra-level work or Zen or Vipassana related texts). Either I'm trying too hard or I have other nuts to crack right now. To paraphrase Surya Das, perhaps I have more "schlepping" to do before I can "scoop" Namaste. "In the Dzogchen teachings the term "knowledge" or "state of knowledge" denotes a state of consciousness which is like a mirror in that its nature cannot be stained by whatever images are reflected in it." A good introduction into the self perfected state of Dzogchen explained by a true master of these teachings. If the whole spectacle that's in front of you is no longer wholly believable to you; here's your man. “All the philosophical theories that exist have been created by the mistaken dualistic minds of human beings. In the realm of philosophy, that which today is considered true, may tomorrow be proved to be false. No one can guarantee a philosophy's validity. Because of this, any intellectual way of seeing whatever is always partial and relative. The fact is that there is no truth to seek or to confirm logically; rather what one needs to do is to discover just how much the mind continually limits itself in a condition of dualism.